There are so many different ways to be a World Changer. When I read the post below from Stephanie Marsiglio I was smiling, encouraged, and inspired. I begged permission to share it here. Thank you, Stephanie! “The kids asked for Descendents costumes for Halloween (@$40 a pop). I told them that if we spent all that money on costumes they would only wear once, we wouldn’t have as much to share with others. 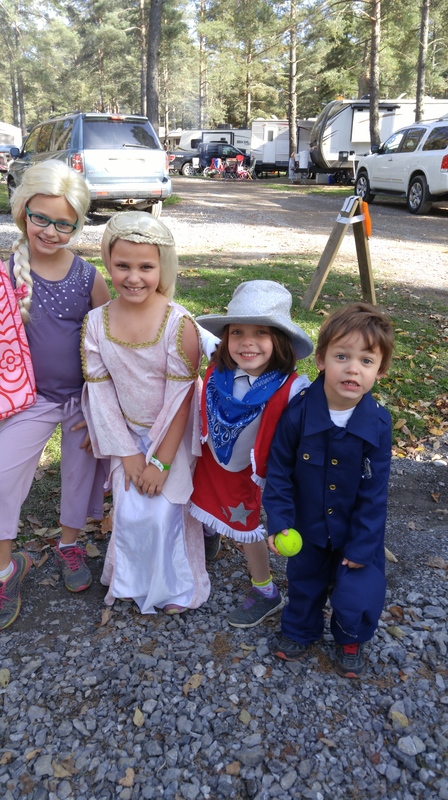 So I made them a deal: they had $120 to spend on their costumes. Anything they DIDN’T spend, they could give to someone in need and THEY got to pick who. Suddenly, their attitudes completely changed. They couldn’t wait to see what they could come up with at home with stuff we already had so they could have more money to give away. The ended up spending only $40 total leaving them $80 to give to others. Their Halloween Costumes look great! They’re also trying to figure out how they can sponsor a child and give monthly. 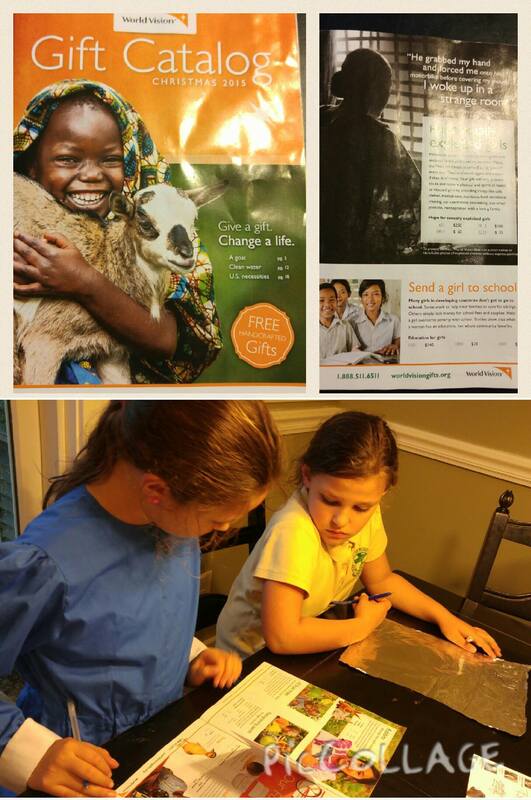 Marsiglio girls taking the World Vision Gift Catalog very seriously. 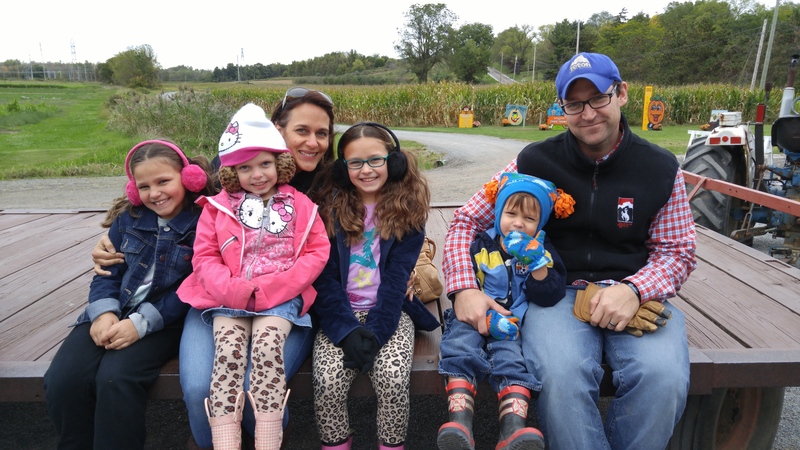 The Marsiglio Family – World Changers! I love this so much. This wasn’t a long complicated plan. This was one simple offer from Stephanie to her kids: you get $120 to do whatever you want for Halloween, anything left over you can share. She empowered them to decide for themselves. And their choice was so generous! I often hear from parents that they fear their kids won’t want to share. They might spend all the money on themselves, and the guilt would a disappointing killjoy, so they just avoid it all together. But I think it’s worth the risk. Ask the question. If they say no, or aren’t interested, do not shame them. Ponder it in your heart and ask again in a month or so. Christmas is another opportunity to help our kids grow generous hearts. How could we share Christmas? How could we spend our Christmas money differently? Could we spend less on gifts around our trees and more on others? I’d love to hear your ideas about making Christmas different, and empowering kids to be generous. Please share in the comments or email me privately at familycompassionfocus@gmail.com.